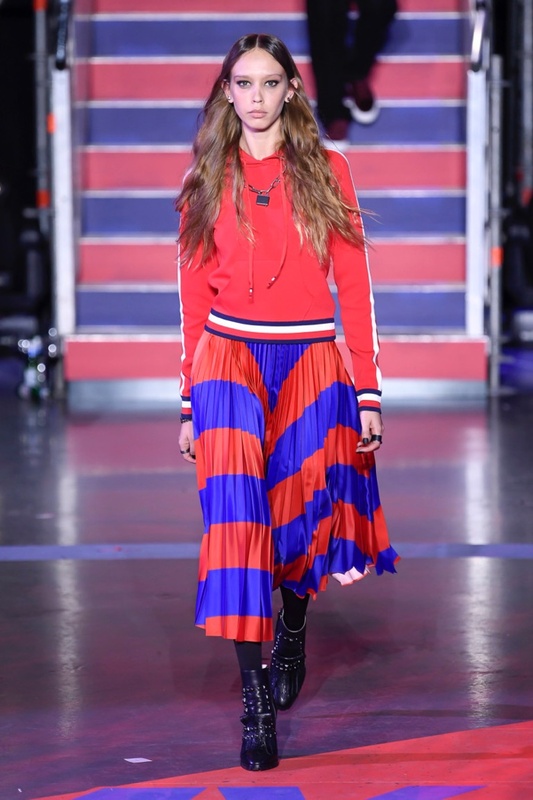 Tommy Hilfiger's third consecutive collaboration with Gigi Hadid is the most grunge and fierce to date, and its runway presentation was quite edgy too. 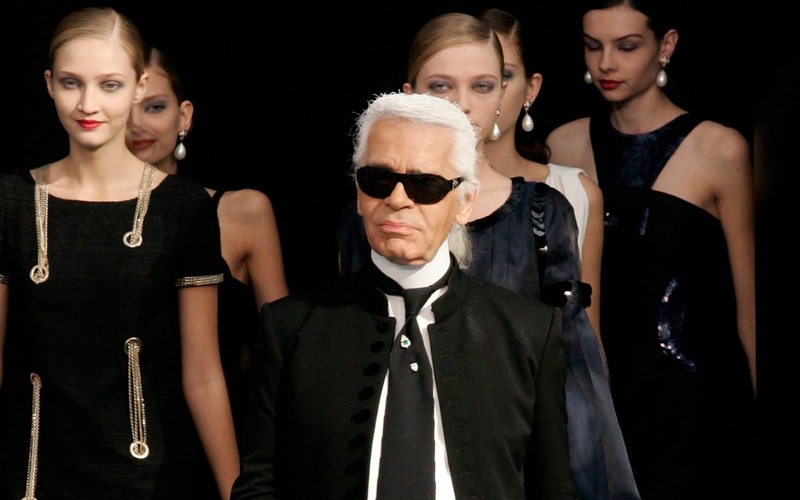 We saw hints of the collection in the Tommy Hilfiger x Gigi Hadid Fall/Winter 2017 Campaign, and the show, presented during the London Fashion Week, brought together a bevy of top models. Seen on the runway were Gigi herself, along with Joan Smalls, Hailey Baldwin, and Gigi's sister Bella Hadid and brother Anwar Hadid too, along with a handful of popular faces. 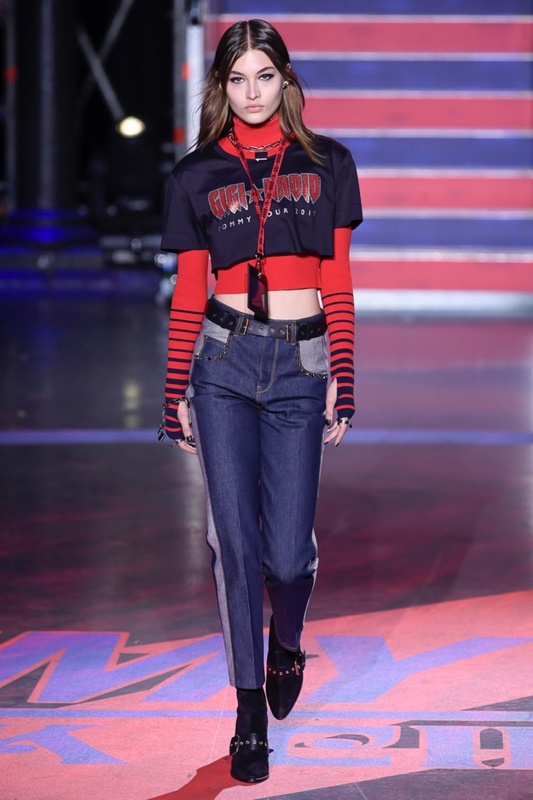 The show marked Tommy Hilfiger's first show in London in over two decades, and the Rock Circus theme had the venue lined with roadie cases. Preppy chic checks, over the knee socks, padded jackets, cropped sweaters, floral details and leather and mesh along with denim all went together to make the sensational collection. Last season, the jeans that Gigi wore for the show were sold out before the show ended, and similar splurge-worthy pieces were seen for this season too. 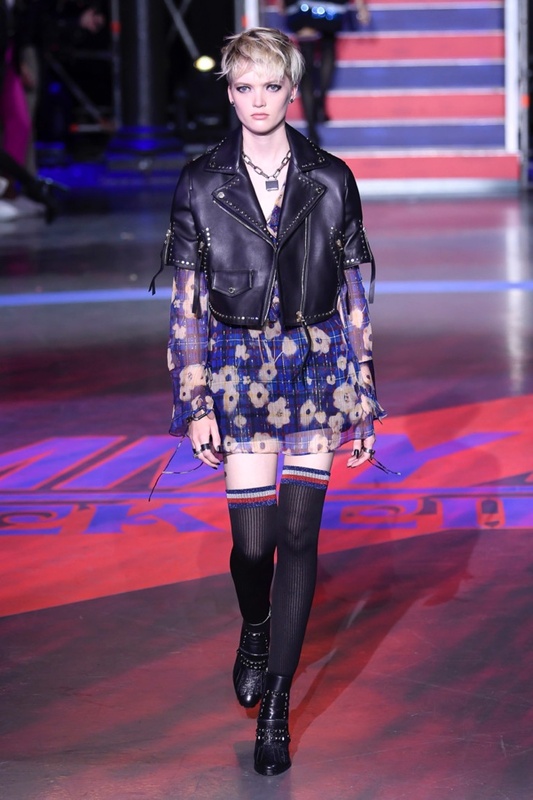 Chain-link necklaces, embroidered beanies, and chunky footwear were also spotted on the runway, and Hilfiger's choice of Roadhouse as a venue boosts the rock & roll inspiration the designer sought for this collection.